Ever heard of Chums? If you haven’t you should definitely check them out! Chums is a manufacturer of eyewear retainers, cotton clothing, and accessories, based in Salt Lake City, Utah. Their products all feature the iconic red-footed booby that has come to be a mascot for Chums. The company was founded in 1983 as a solution to ensure the safety of your expensive sunglasses, and they still remain an important name in the eyewear and fishing industry today. Chums’ guiding principle is simple: they believe in acting responsibly and ethically in all aspects of their business. The company is also dedicated to supporting green initiatives, and has done so by using recycled materials for all of their paper, flyers, and brochures, as well as reducing their carbon footprint by practicing a variety of environmentally conscious activities. Chums is a staple in the eyewear and outdoor industry, and they actively support tournaments as well as the local fishing community. 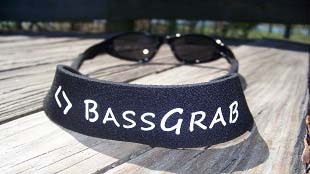 Chums has been generous enough to donate their original neoprene sunglasses strap printed with the BassGrab logo. 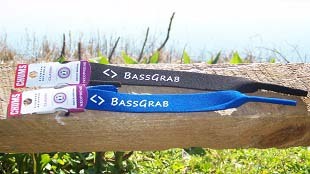 We are giving these away during the month of March 2011 to the users of BassGrab.com. 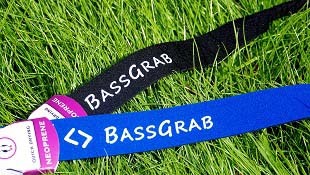 We would love to see some pictures of the BassGrab users with their custom Chums straps! Chums is a staple in the eyewear and fishing industry, and their staff is very helpful and great to work with; do not hesitate to become involved with this down-to-earth company! While I haven’t been able to test any of those claims, I can say that I have used the straps to hold onto my sunglasses while fishing, running, and boating, over the last month. The straps have a great quick drying construction and can really hold up to abuse from the outdoors. Overall, Chums is a great company that has connections with many of the top eyewear companies within the fishing industry as a premium eyewear accessory provider. 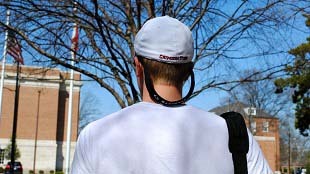 Be sure to check out the Chums website, as they offer some great eyewear retainers and accessories for fishing that will keep your sunglasses and other gear safe, including: floating sunglasses straps, floating camera straps, floating keychains, sunglasses cases and clips, and waterproof wallets. Let Chums hang on to your stuff.